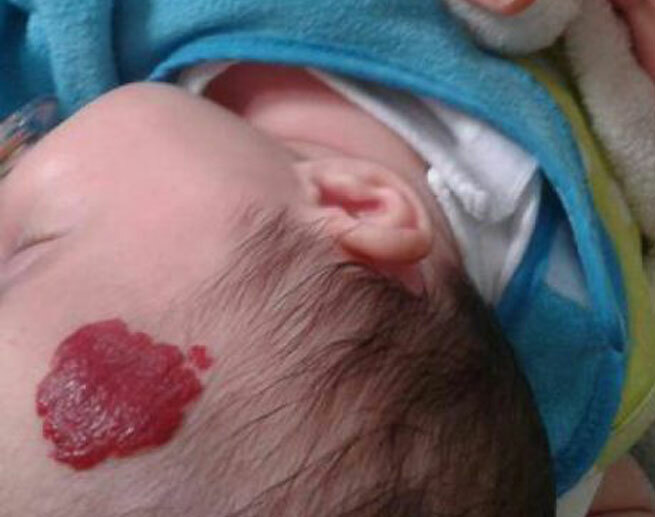 Haemangioma of infancy is also more commonly known as “strawberry haemangioma” in view of its juicy red appearance. It can affect up to 10% of infants. Haemangioma of infancy may not be present at birth and most are prominent only a few weeks after birth. It then undergoes a period of rapid growth, followed by a “plateau” phase where it remains stableand undergoes an “involution” phase where it slowly begins to shrink in size after many years. Although not all haemangioma require treatment, it is important to know that in 40% of cases, there may still be residual scarring even after the haemangioma has completely involuted on its own. 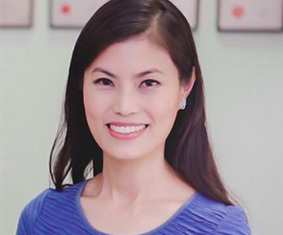 It can take many sessions of treatment with the pulsed-dye laser but this treatment can give very satisfactory cosmetic results. commonly found on the face. Unlike haemangiomas, they do not get smaller with time. In fact, they can increase in size, thickness and nodularity with time. Laser treatment in early childhood is therefore advisable. The Pulsed-Dye Laser can be used to treat port-wine stains and it destroys superficial blood vessels without damaging surrounding structures. It may take several sessions to complete the treatment. It is a very safe treatment and gives very good results. It is well- tolerated and most children will only require an application of an anaesthetic cream before the laser. 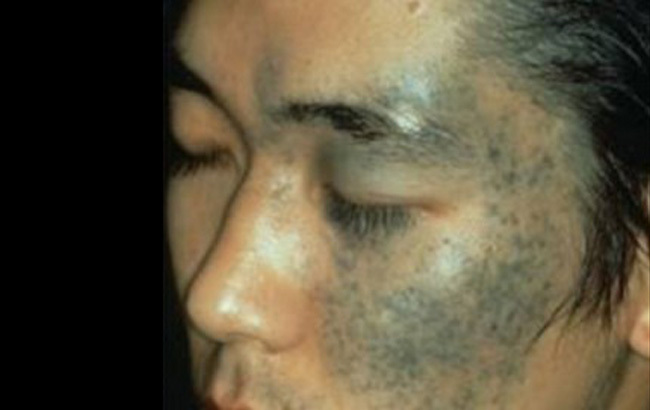 This is a common pigmentary condition that presents with a brownish grey patch on the face. It usually affects both upper cheeks. The pigmentation can affect the eyes as well. The discoloration can be treated with a laser that lightens the pigmentation. Many treatment sessions will be required. It is a very safe treatment and most children will only require an application of an anaesthetic cream before laser. 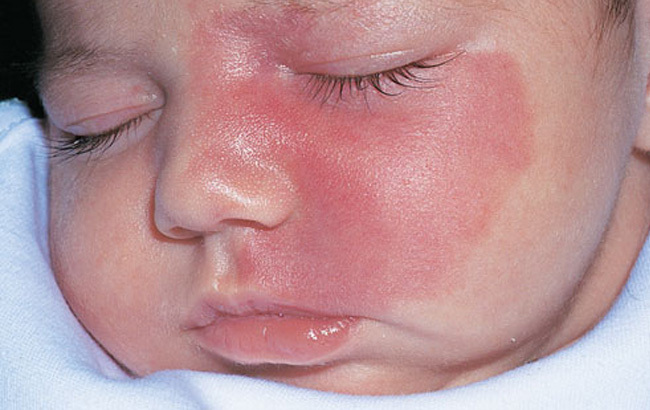 This is a very common pigmentary disorder that affects most Asian babies. It occurs less commonly in Caucasian babies. It appears as greenish pigmentation usually on the back and buttocks. The pigmentation normally lightens as the child grows up. However, in some cases, the pigmentation may persist into adulthood. Mongolian spots can be lightened by the use of a laser. The laser therapy is safe and well- tolerated. Again, many sessions may be required to give good cosmetic outcome.